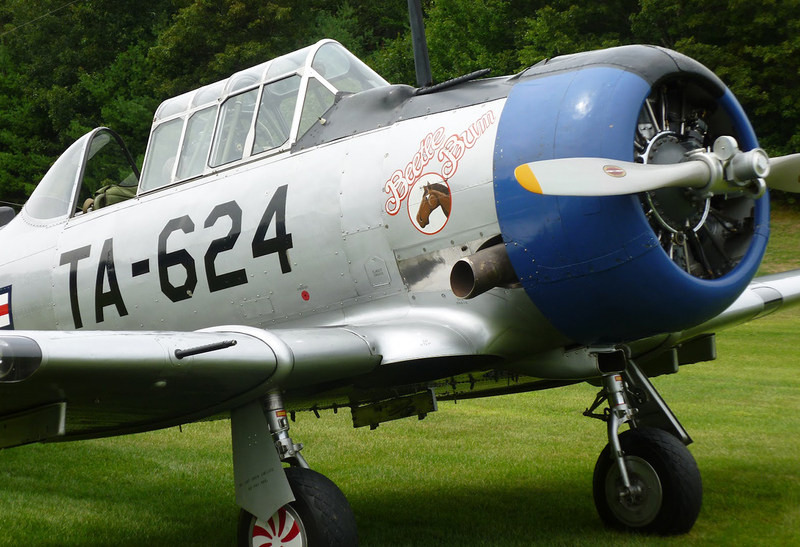 The T-6 Texan was the final development in a long line of U.S. military training planes that traced their roots to the prototype NA-16 that first flew on April 1, 1935. Altogether, over 17,000 Texans were built by North American and by foreign manufacturers under license, more than any other World War II-era trainer. Derived from the BC-1 and originally designated AT-6 (for Advanced Trainer) or SNJ in Navy service, the Texan flew in all branches of the U.S. military through 1958, with the Civil Air Patrol into the 1960s, and with the air forces of over 50 nations, some well into the 1990s. The Texan and its relatives filled countless roles for the Allies during World War II. The single-seat P-64 fighter was used for U.S. pilot training, while the earlier BC-1 was sold to Brazil, Peru and Chile as a front-line fighter. Australia used the two-seat Wirraway and the single-seat Boomerang in combat, while the family of trainers saw service throughout the United Kingdom, renamed as Harvards. In AAF and U.S. Navy service, Texans prepared most U.S. pilots to fly high performance, single-seat aircraft in combat. 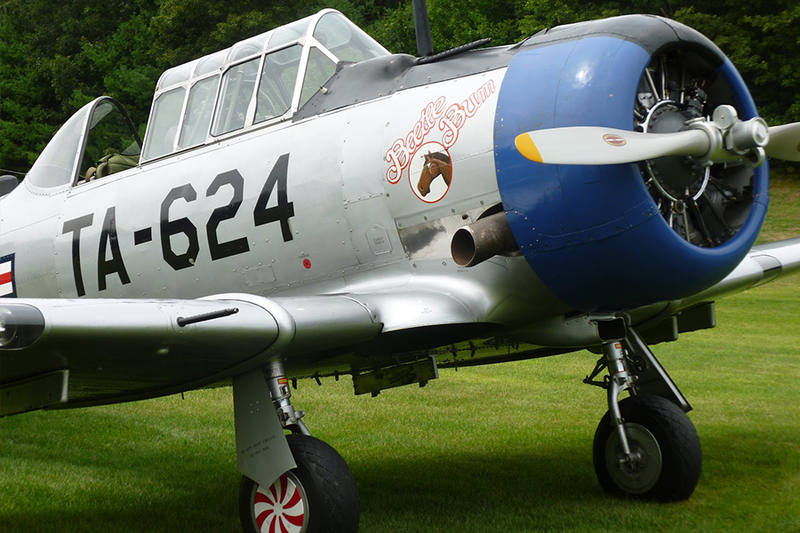 After WWII, the U.S. Air Force rebuilt over 2,000 T-6s, which emerged as new T-6Gs. In Korea, these and earlier T-6D and F models were used as forward air control aircraft, guiding attacks against enemy positions. Known as “Mosquitos” they were critical to mounting effective ground attack operations throughout the war. Later, T-6s were employed to combat nighttime “Bedcheck Charlie” flights launched by North Korea.